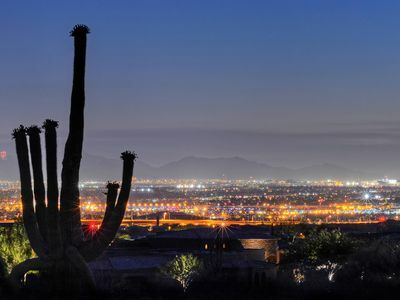 Make your next getaway one to remember when you visit Scottsdale, Arizona! 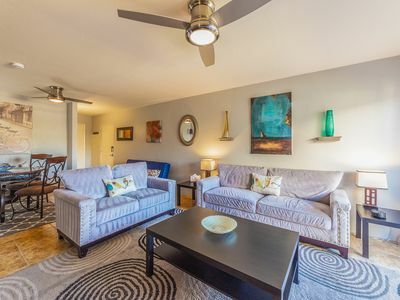 This inviting 1-bedroom, 1-bathroom vacation rental condo sleeps 4 and boasts a convenient Old Town location and fantastic amenities for the ultimate desert retreat. This beautiful condo is perfect for couples or families looking for a relaxing gettaway. 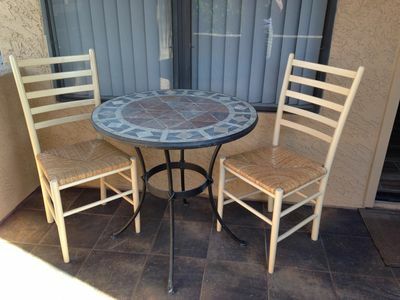 Make the most of your sunny Arizona vacation by staying at this excellent ground-floor vacation rental condo. 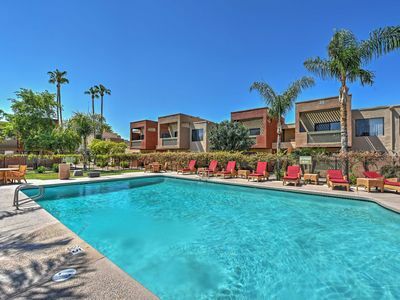 Tucked away in the quiet Sunrise Condominium complex, this magnificent unit backs up to the northern tip of the picturesque Continental Golf Course in Old Town Scottsdale. You'll love the sleek interior, featuring inviting furnishings and a variety of modern amenities. Sleeping arrangements include a plush, king-sized bed in the main bedroom, making this the ideal lodging choice for a couple seeking a tranquil retreat from the stresses of everyday life. 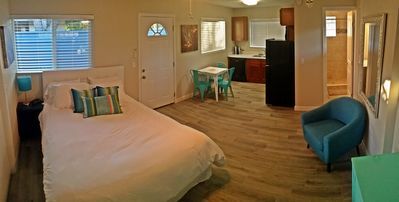 The condo is outfitted with all the necessary comforts of home, including a fully equipped kitchen, wireless internet access, air conditioning, and in-unit laundry machines. You'll look forward to unwinding in the inviting living room, staying entertained with your favorite TV show on the flat-screen cable TV. 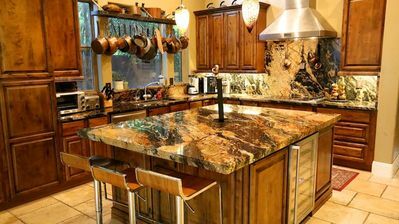 Spend your days exploring downtown Scottsdale or watching an exciting Sun Devils game, before heading home to refuel with a tasty meal prepared in the fully equipped kitchen and a relaxing evening in. You'll also have access to several on-site amenities where you'll be able to beat the heat with a dip in the shared pool, work up a sweat in the fitness facility or soothe your sore muscles in the hot tub. 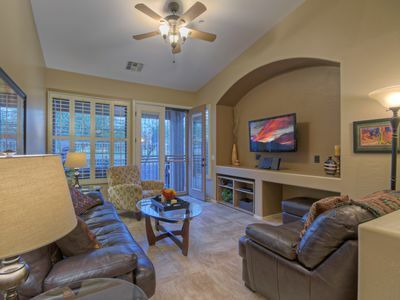 You'll love the outstanding location of this Scottsdale condo! If you want to explore Old Town Scottsdale, you'll be just a short walk away. The picturesque streets of Old Town Scottsdale holds hours of entertainment for your entire travel group! Simply hop aboard the free Scottsdale trolley near the city to be transported to a night of high-end shopping, perusing eclectic boutiques, browsing interesting galleries, and dining at one of the many award-winning restaurants in town. Take an evening stroll through the charming streets of this vibrant town, as you marvel at the giant horse statues and old southwest character around every corner. Baseball lovers will be enthused to discover the sports facilities located only a short 20-minute walk from the property, host to teams like the San Francisco Giants, Arizona Diamondbacks, and Colorado Rockies during Spring Training. Spend your afternoon at the slot machines in one of the nearby casinos, or tee off at one of the perfectly manicured golf courses - all within a 5-minute drive of the property. 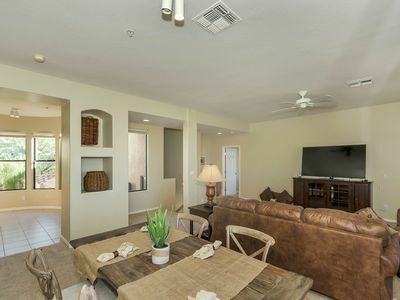 No matter how you choose to spend your time while you're in Arizona, you'll find it's nearly impossible not to have a remarkable getaway when you book this wonderful Scottsdale vacation rental condo! 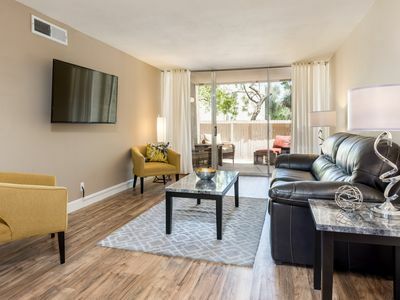 - Amenities include a fully equipped kitchen, air conditioning, wireless internet access, 2 flat-screen cable TVs, in-unit laundry machines, gas grill, spacious private patio, and access to on-site amenities such as the pool, fitness center, yoga room and hot tub. 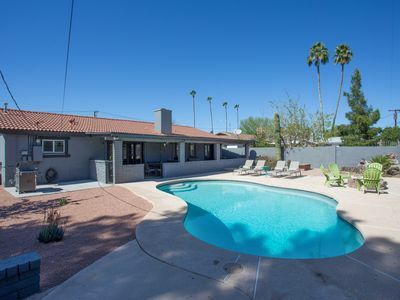 - Unbeatable Old Town location with easy access to Spring Training facilities, shopping, restaurants, malls, casinos, golf courses and much more! 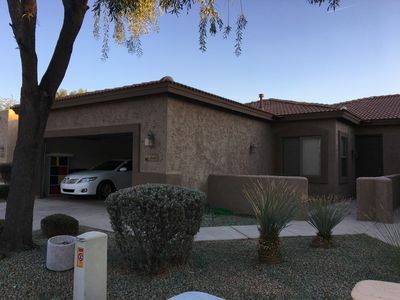 Fantastic Central Scottsdale Location And A Good Value Too! 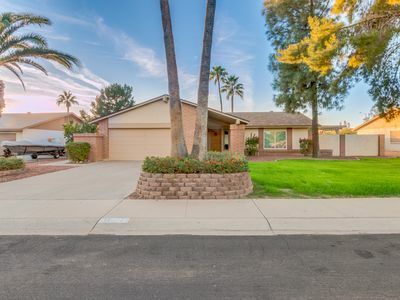 Private Bungalow in the Heart of Tempe!